When most entrepreneurs hire their first office space, the layout probably isn’t going to be ideal for the operation. With that in mind, it’s sensible for business owners to undertake some adjustments and perform some renovations. The issue is that most people don’t have a clue where to start, and they don’t have much time on their hands. For that reason, this article was published to offer assistance and ensure company bosses don’t forget anything important. So when all’s said and done, entrepreneurs need to create a space that’s functional and stylish. They also need to do everything possible to make the office as attractive and comfortable as possible for those critical client meetings. Just consider some of the tips below, and then put them into action. Some business owners might also choose to invest in triple-glazing windows if they want to reduce their energy bills. Those items tend to help maintain the required temperature in almost any space. Anyone who needs some inspiration just needs to perform a Google image search. 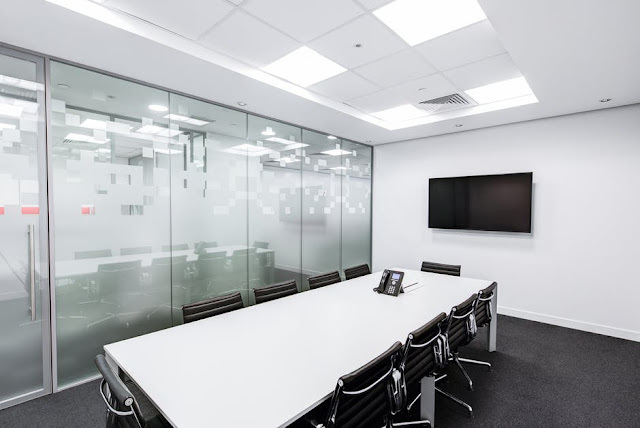 There are thousands of photographs of meeting rooms online from which entrepreneurs can take some inspiration. People who want to find the best video calling tools just need to perform some research online. There are plenty of specialists out there that can provide everything the business owner requires. In most instances, those firms will also setup the equipment and show the entrepreneur how to use it efficiently. Don’t Forget Those Coffee And Tea Machines! There is no getting away from the fact that people meeting at business offices will need refreshments. Indeed, so will many of the staff during their working day. It’s sensible to invest in a hot drinks machine that anyone in the office can use when they get thirsty. However, it’s also worth buying an upmarket version of that product for the meeting space. Clients will feel impressed if the business owner can provide them with a vast choice of different drinks. That should also help to make the individual feel a little more relaxed than they otherwise would have done. • Planting some flowers around the entrance or other landscaping finishing touches. While company bosses will probably want to pay specialists to undertake those jobs, it’s much cheaper to manage the process in-house. For that reason, entrepreneurs should buy any materials at the very least. They then only have to cover the cost of labor. Drain jetter devices are not going to break the bank, and neither will some outdoor paint. The only suggestion on that list that might require a substantial investment is the automatic door. Still, there are always ways in which anyone can reduce spending if they shop around. • Tend to stay in working order for longer than other models due to their improved design. Once entrepreneurs get the right seating solutions for their offices and meeting rooms, clients should feel impressed the moment they walk through the door. There are lots of specialist sellers of ergonomic furniture these days, and so people won’t have to look far to find the most suitable designs. Whatever happens during the coming months, new business owners should take advantage of the tips and advice in this article. Most entrepreneurs don’t like to share information, and they don’t want to give competitors their secrets. However, today, readers have gained an in-depth insight into office and meeting room design. Put the ideas into practice, and people should notice a vast improvement in results this year. If anyone wants to go a step further, they could ask clients to complete a short questionnaire after leaving their premises. That is often the best way to discover issues other workers might have overlooked. Also, it shows the individual that the company is doing everything possible to improve and succeed. Thanks for reading! I hope you enjoyed this article about your business premise and how to get it ready for clients, customers, and profitable partners. Interested in more articles about better office management?